Once upon a time there was a girl that was a carnivore. But even though her heart was singing in love when she saw a tender piece of meat every once in a while she craved a vegeterian dish. So when she first made this Parmesan Marinara Meatball Recipe she fell in love with the Italian flavored Marinara Sauce and immediately set her heart on making a dish with this sauce. Though she wanted to be this recipe to be totally suitable for her vegetarian friends this time as well. Because they perfectly fit the Italian theme and also because, well they are amazing, she decided to toss in some gnocchi. And cheese, of course. Always cheese! Then she also decided to stop speaking of herself in third person because well, that became a little awkward at some point. But let’s not talk about me anymore now, let’s talk about gnocchi. 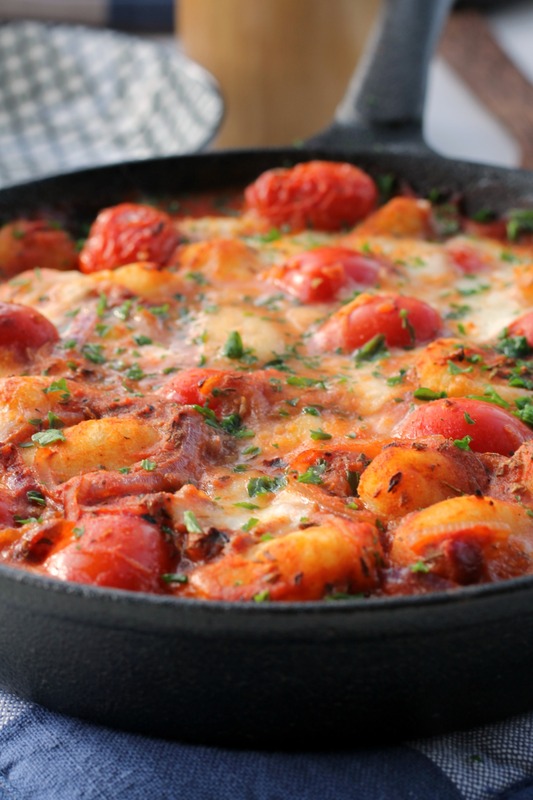 I love gnocchi – ooops me again. Not only are they little dough balls of bliss they are also made of potatoes which kinda doubles their greatness. I have made my gnocchis before from scratch but to be honest I am just a bit too lazy and like my kitchen flour dust free a little too much! So I just go and buy them in store. What I like particularly about them is that you just pick up a bag of fresh gnocchi and it takes you literally 5 minutes to heat them up and make them soft and ready to eat. Though most people boil them in water I favor to bake them or heat them up directly in the sauce. Perfect for a quick and easy dinner after a long day of work! Let’s talk about this recipe now. Only one pan is needed to make this Vegeterian Mozzarella Gnocchis in Marinara Sauce that is chock-full of Italian flavors and whipped up in less than 15 minutes plus oven time. Guys, I seem to have a theme on here at the moment which is healthy comfort food and this recipe doesn’t fall short of this lable either! I don’t hate that! The creamy mozzarella cheese, the gooey warm gnocchi and the milde Italian flavors just rock my little heart in comfort! A creamy and gooey gnocchi dish that is full of Italian flavors and fits the bill of healthy comfort food perfectly. Make this recipe in only one pan and under 15 minutes plus oven time! I may sound like a broken record but I also love when a recipe holds the potential for great leftovers. The Vegeterian Mozzarella Gnocchis in Marinara Sauce certainly do. Pack the leftovers in your lunchbox and all you need is a microwave to heat and soften up the gnocchi again the next day. You co-workers will hate you for sparking an intense craving for Italian food. The smell of this dish alone is just irresistable! So I am zooming out for today. I have a hot lunch date with some leftovers that are actually already heating up for me in the microwave! 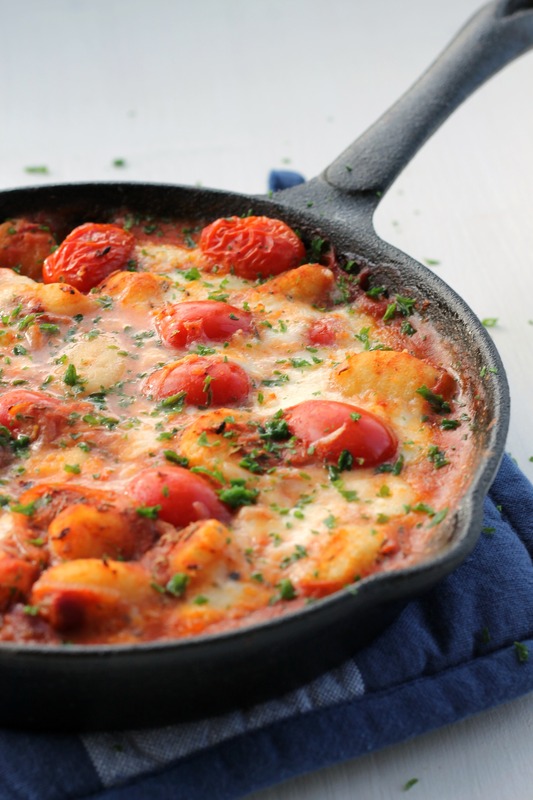 Sorry to cheat on the gnocchi, but mine is pizza – no competition! 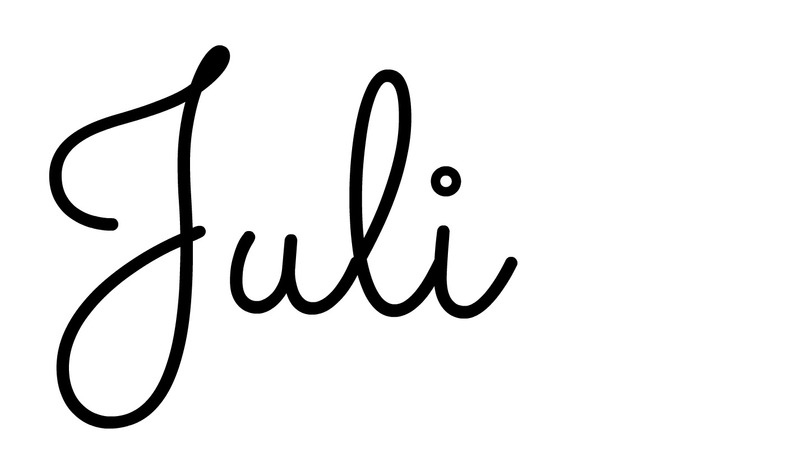 This pictures are amazing Juli! And I can imagine this dish being so good – need to make some sweet potato gnocchi! Thanks so much lovely! If you want to make this with sweet potato I’d suggest to up the spices a little. I think otherwise it might turn out a little too sweet. I legit want to eat this cold…Seriously. I ate this cold for breakfast a few times! The gnocchi are definitely less gooey BUT nothing trumps cold leftovers for breakfast, right? Good god in heaven, this is everything I want in my mouth. I need to make this stat.